Kidney disease is a very common problem in our small animal population. 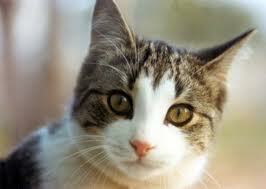 It is more common in cats than dogs and can occur at any age, but more often in older animals. Your veterinarian will diagnose kidney disease in your pet by running two tests; the first is a blood test to see if kidney values are elevated (this is called azotemia), and the second is a urine test to see if the kidneys are working to concentrate the urine. If your pet’s urine is not appropriately concentrated, but kidney values are normal, he/she has lost 50% of kidney function. If the urine is not concentrated and the kidney values are elevated, your pet has lost 75% of kidney function. In cases of severe dehydration, it is possible for the kidney values to be elevated without true kidney damage or dysfunction. A stone in the lower urinary tract (urethra) can cause elevations in kidney enzymes. If your pet’s diagnostics show kidney disease, your veterinarian will classify his/her illness as chronic or acute kidney disease/failure. The difference between the two is the severity of your pet’s clinical signs and the magnitude of the blood work changes. The therapeutic goal of chronic kidney failure is to slow the progression of the disease. The disease itself most often cannot be cured. Treatment may include a restricted protein and phosphorous diet, phosphorous binding medications, and subcutaneous fluids. These patients can often have subclinical urinary tract infections, so your veterinarian will likely recommend bloodwork, a urinalysis, and urine culture at least twice a year. Many of these patients remain stable and do well for many years. Chronic kidney disease can be a result of a multitude of insults to the kidneys. These include toxins, infection, congenital abnormalities, cancer; kidney stones, etc. ; stones or calcifications throughout the urinary tract are very common in our companion animals. Your veterinarian will likely want to run a number of tests to determine the cause of your pet’s kidney disease such as a urinalysis, urine culture, abdominal x-rays, and an abdominal ultrasound. Unfortunately, often times despite running these diagnostic tests, the underlying reasons for kidney disease cannot be determined. Acute kidney failure can be caused by toxins, infectious diseases, or an insult to the kidneys when the patient is already in chronic kidney failure. This can include dehydration, urinary tract infection, high blood pressure, and many others. These patients are usually very sick and may have symptoms such as drinking/urinating more often, inappetance, weight loss, vomiting, lethargy, etc. Treatment for these patients often includes multiple days of hospitalization to flush the kidneys and balance electrolytes. It is possible to get patients out of acute kidney failure, but they may continue to have long-term kidney problem. Kidney disease occurs frequently in dogs and cats. It is important to note that with treatment, these patients can often continue to have an excellent quality of life for a significant period. Yearly wellness exams with your veterinarian can help with early detection of kidney problems. AMVS is a 24-hour veterinary facility providing specialty internal medicine, surgery, emergency and critical care, physical rehabilitation, pain management, and blood bank services for pets. They are located in Longmont at 104 S. Main St. For more information, go to www.AspenMeadowVet.com. Site contents copyright © 2019 Recorder Online	except as noted. All rights reserved. | 90 queries in 2.414 seconds.